You guys, how awesome, fun, cute and every other adjective is this purse?! Every time I went to the mall with my boyfriend we would walk through Macy's and I saw this purse and would just go on and on about how much I loved it and wanted it. I never would have thought he would buy it for me for Christmas though! This isn't an everyday purse, but it's the perfect one for going out or just simply sprucing up your errand running look. Also, the best thing about this purse is the phone actually works.. not kidding! Just plug the cord into your headphone jack and you can answer your phone calls. I mean the purse is cute as is, but if that doesn't completely do you in then I don't know what will. My beanie is also Betsey Johnson and I got it for Christmas, however, I couldn't find it online to link. I've had my eye on this lace-up shirt from Express for the longest time and I was so happy when my mom purchased it for me for Christmas. 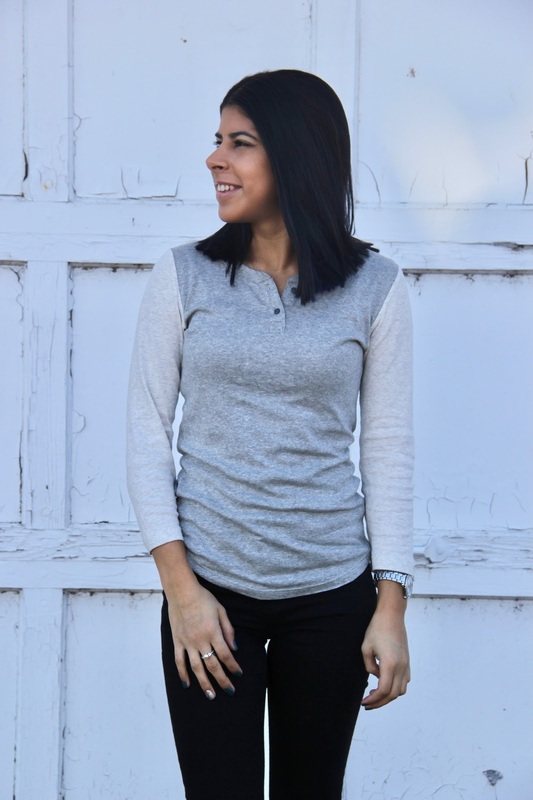 I wore it for a day of traveling and running errands and it's so comfy and lightweight. I especially love the lace-up look as it gives an edgy vibe to your outfit. 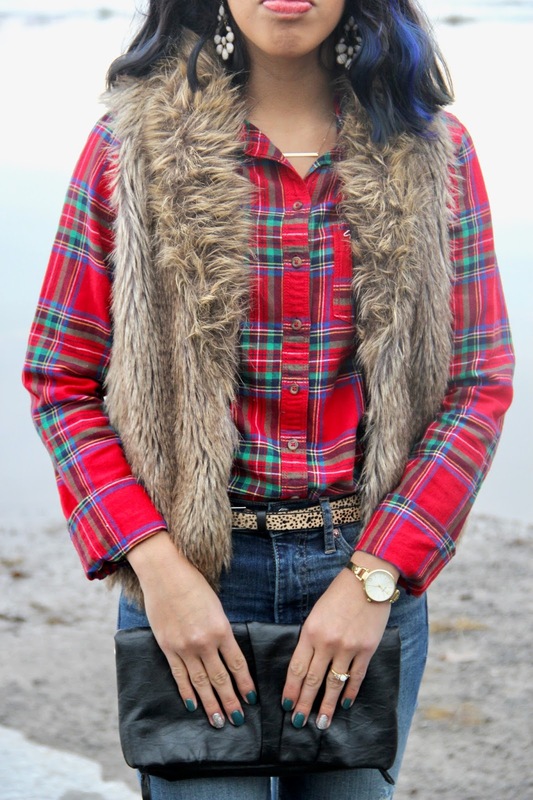 I decided to style this with jeans and my favorite over-the-knee boots, however, you could dress it up with a leather skirt or substitute the boots for cheetah flats. 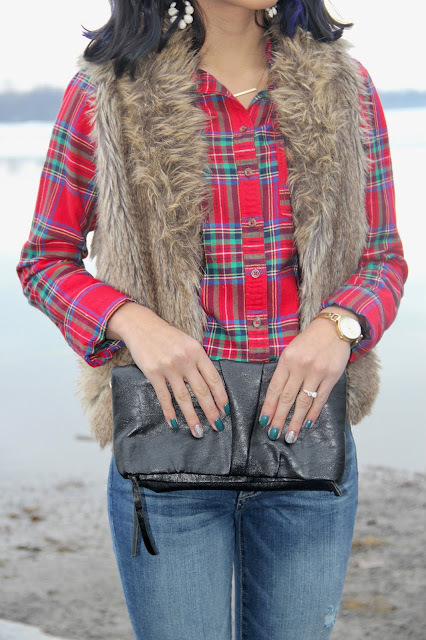 Side note: Check out the blog tomorrow for a look at my awesome new fun purse I got for Christmas! 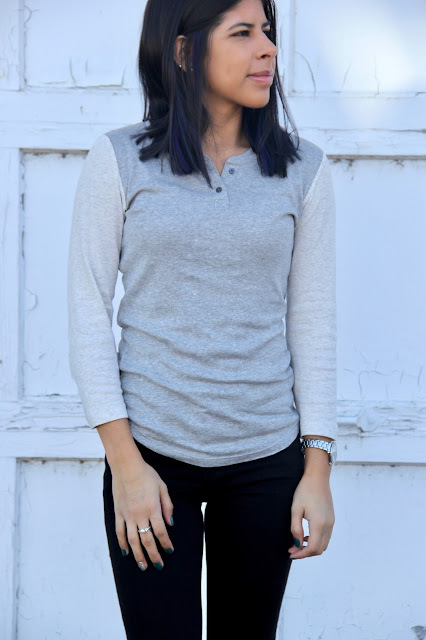 Lace-Up Shirt - Currently on sale for $20! 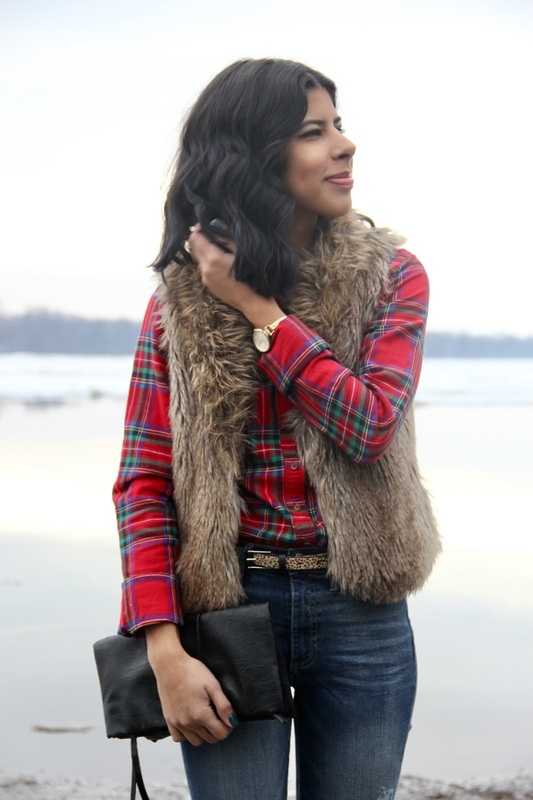 Over-the-knee Boots - Also on sale for $20. 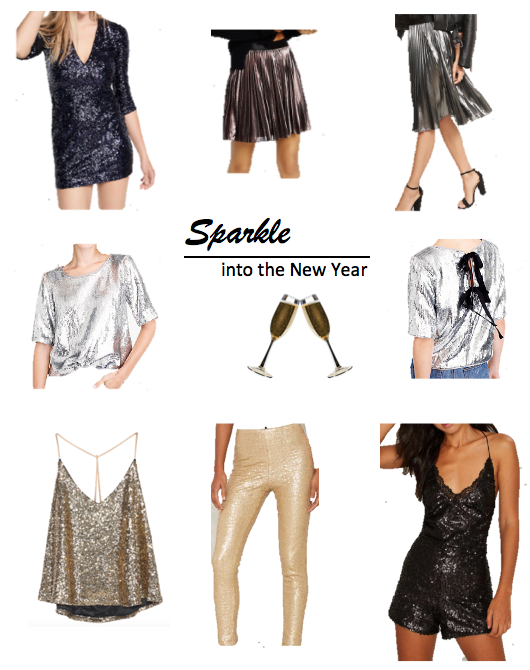 I cannot wait to get dressed up on New Years and sparkle! If you're still unsure on what outfit you want to rock for the night I shared some of my favorites that are easy to style. YOU GUYS, I need to go OFF about these pants. I struggled to figure out what I wanted to wear for Christmas and I stumbled upon these from The Limited, while they were 70% off might I add, and I fell in love with them. Even though I ordered a petite size I was still worried that they would be too big because usually pants like these don't work out for me, but they are perfect! They fit great and I had so much fun styling them. Since I was going to be spending the day with family I decided to go with a more classy look, however you could substitute the turtleneck sweater with a simple V-neck for a more dressed down look or a cut-out choker shirt for a night out with the girls. 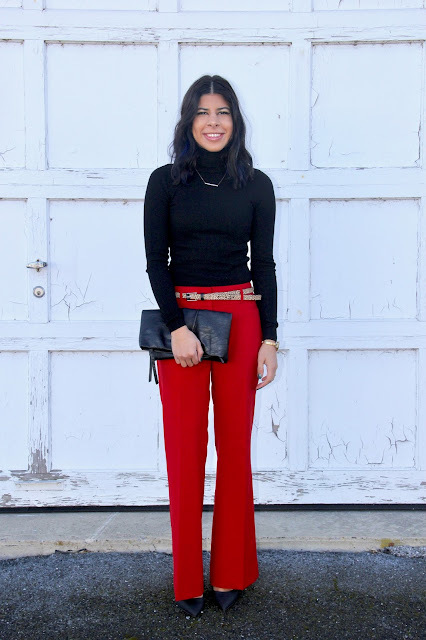 I'm most definitly going to look into purchasing more colors in this pant because they're my new favorite! 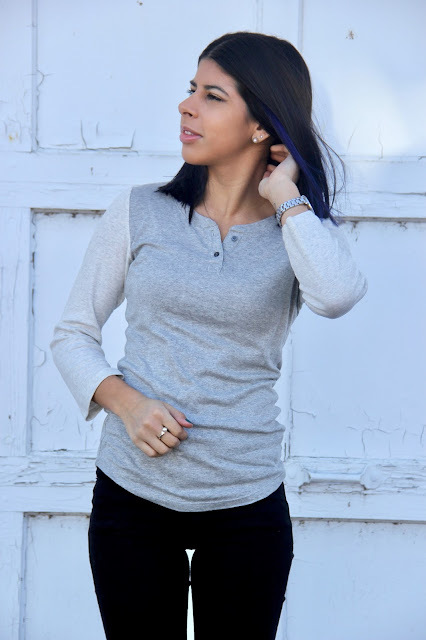 Ribbed Turtleneck Sweater - 50% off everything ends today! 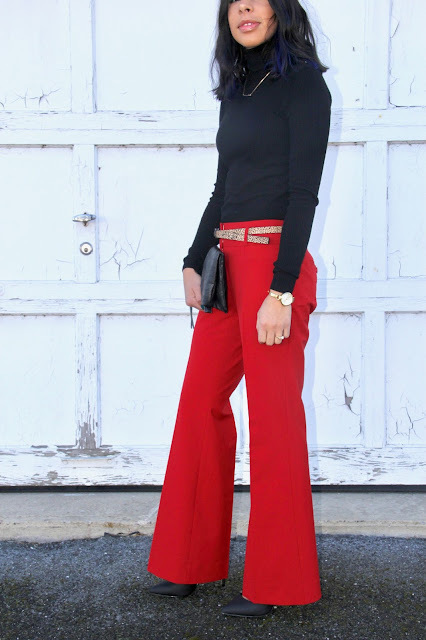 Lexie Flared Pants - Under $40! Mix No. 6 Pumps - Under $30 and my favorite heels! I cannot believe it's already Christmas! I'm sure I say this every year, but it seems like each year keeps flying by—it's crazy. Whether you're reading this post in the morning or evening, I hope your Christmas is filled with lots of love and smiles. Merry Christmas!! 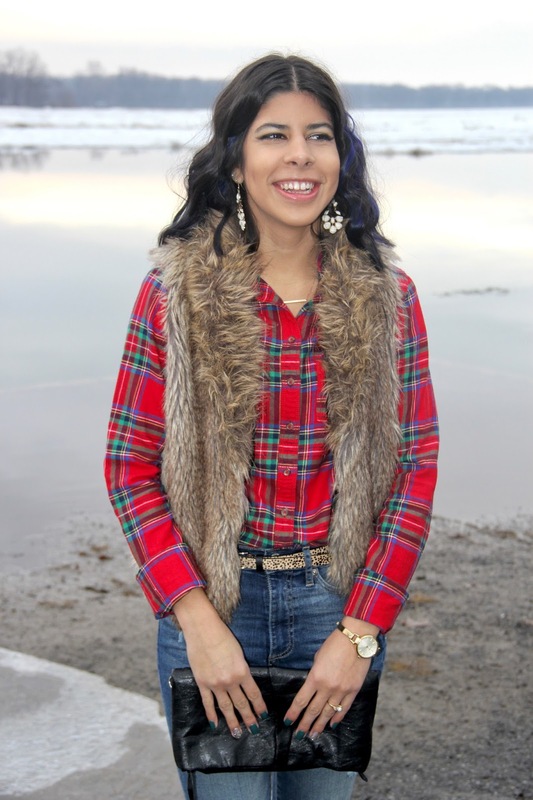 I wore this look on Christmas Eve and I absolutely adore it. 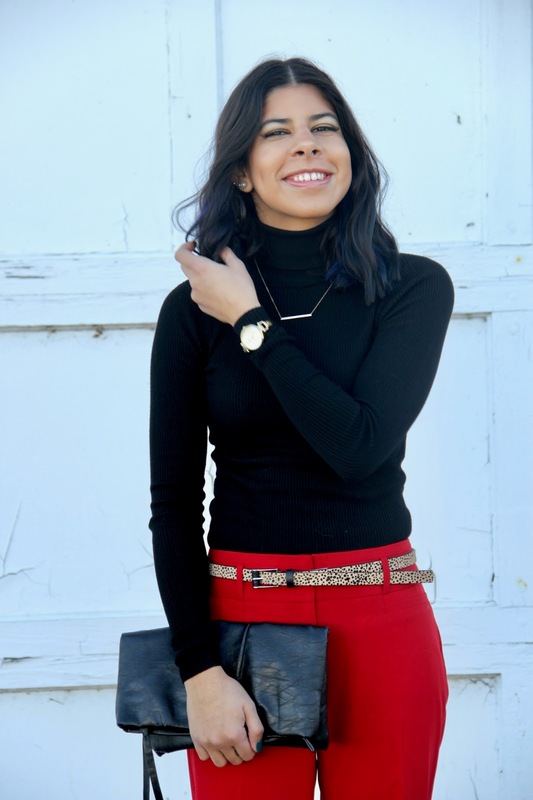 It was such a playful outfit to pull together and would be perfect for any occasion. 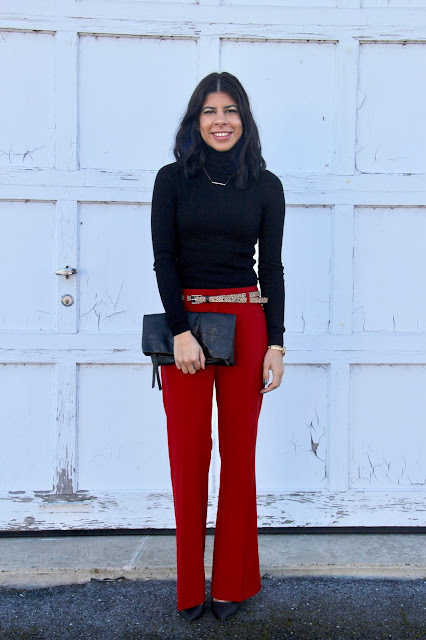 If you're still unsure about what to wear for the day, this would be a great look to recreate and you most likely already have if not most, all of these items in your closet! I was also such a big fan of mixing the cheetah print with the red—which is actually something my boyfriend recommended, so kudos to him. I'm doing the same concept with my outfit for today as well, which I cannot wait to share with you guys. 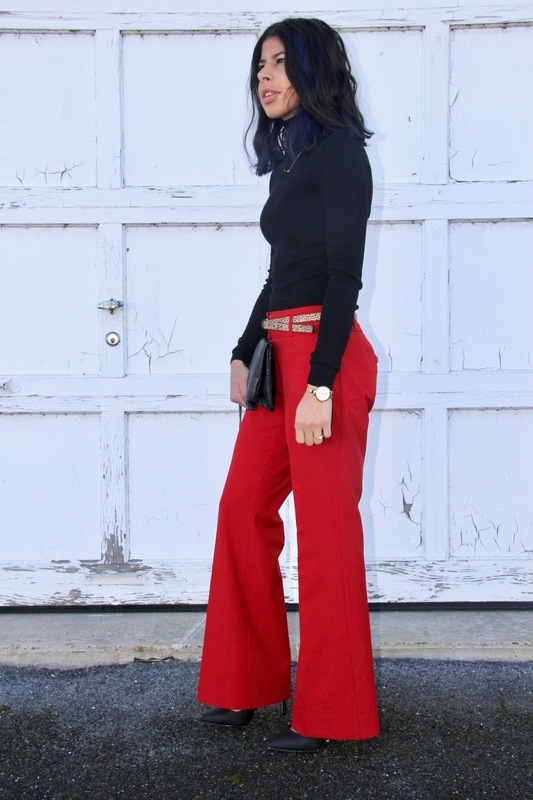 High-Rise Flare Jeans - Only $13! Usually I'm not one to dress super casual, most of the time I like to dress up my outfits. However, today I knew I was going to be out and about majority of the day running errands and finishing up some very last minute Christmas shopping so I figured why not?! 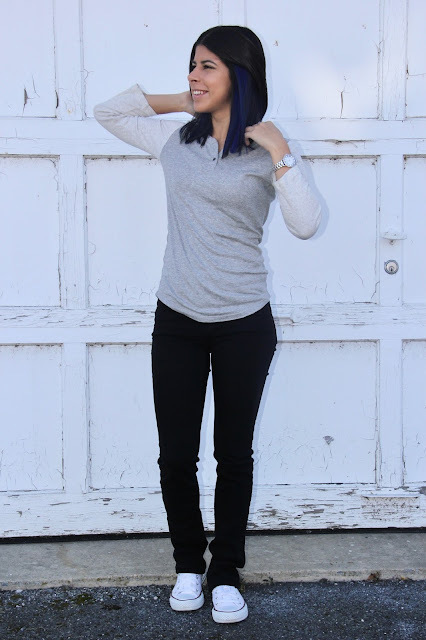 Let me just say, I ended up loving the simplicity of this look because it's super comfy and so easy to put together. 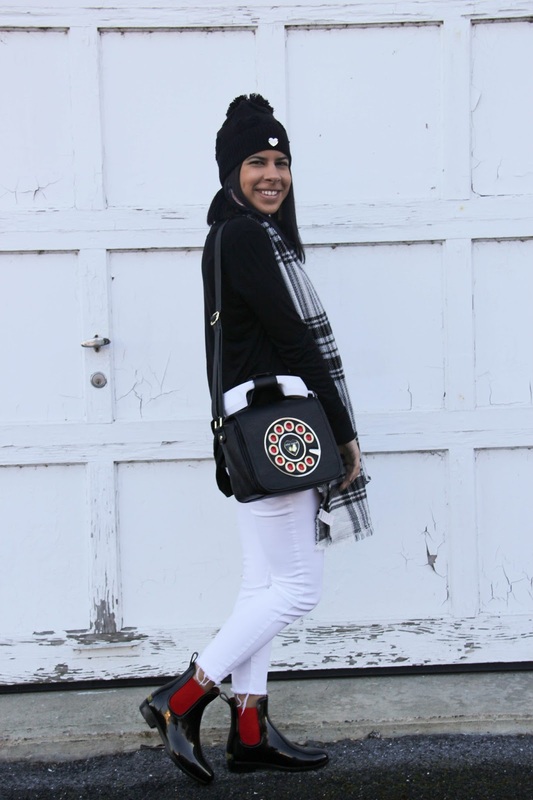 It's honestly a great look for running errands, a day of classes or even for traveling for the holidays! You can also substitute any of these pieces to fit your personal style. I chose a quarter length shirt because it's pretty chilly where I live, so I wanted to be somewhat warm. However, you could throw on your favorite T-shirt or V-neck to create the same laid-back outfit. I'm also normally not one to go for bootcut jeans, but these are seriously my favorite. I snagged them on clearance at Express and they went together with my Converse perfectly. Low Rise Barely Boot Jean - Currently 50% off!